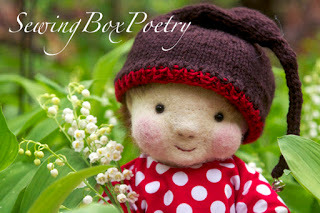 Today’s featured doll maker is Regina Marti from Sewing Box Poetry. 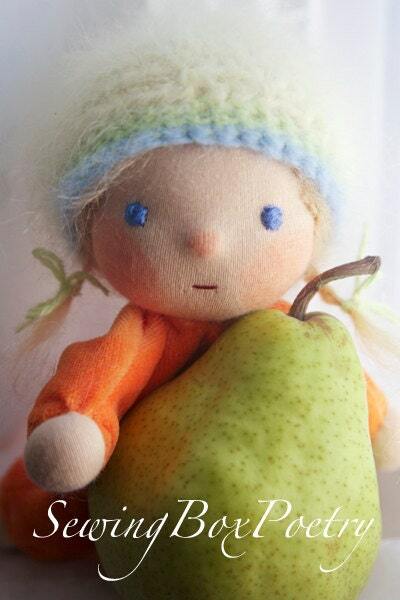 Although her etsy shop is closed for the summer her blog features each of her Waldorf inspired dolls as she creates them. She is a stay at home mom of two wonderful little children, and whenever there is some time She’s trying to play out her ideas of little smiley dolls, cute bears or other loveable creatures. 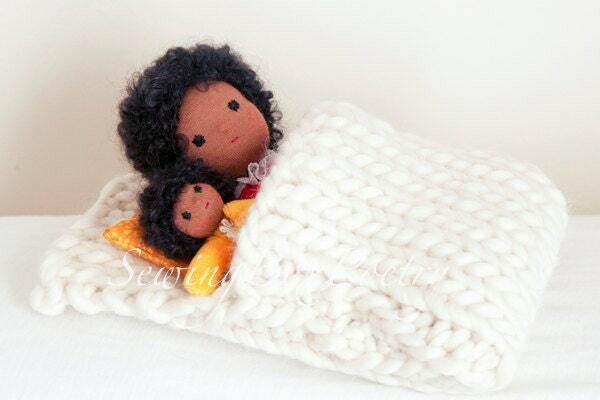 Me: How long have you been making dolls? 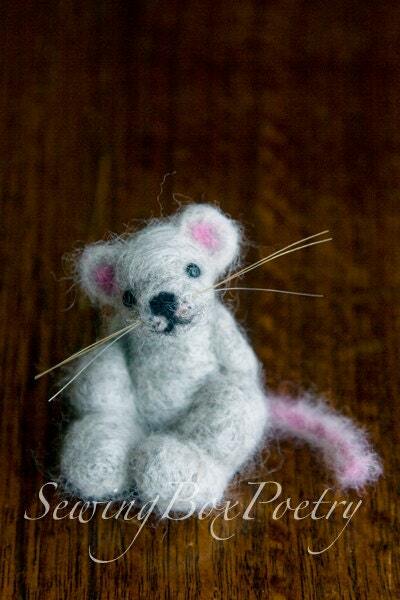 Regina: I started making bears when I went to high school but then didn’t have enough time to follow my hobby until my second child was born. Then I got back to creating my little friends, and I’m so thankful for all these internet platforms where artists and crafters can show their work and discuss things. Regina: Here is a link to wikipedia where you can find information about the Waldorf education. Me: How do you create each one’s personality? Regina: I always had stuffed animals and dolls around me. As a child I had quite a collection of stuffed animals. They were like real friends to me and very important. But it was always tricky to just buy a teddy bear or doll for me because I was (and still am…) very picky with the faces/expressions. 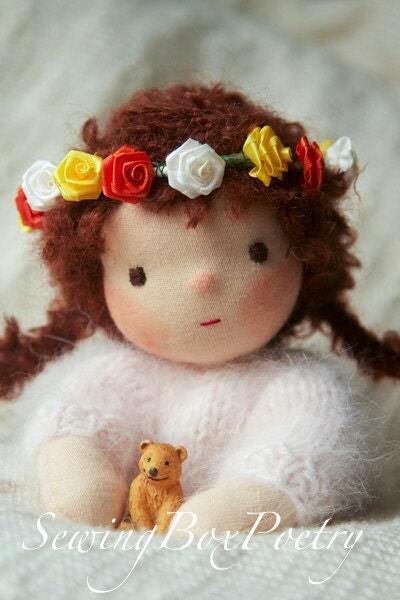 A doll or teddy bear has to ‘look at me’ and show a special personality otherwise I wouldn’t want it. So and that is still the same with my dolls and creatures. The expression is the most important part and I’m only happy if the new doll really looks at me and has it’s very own personality. Me: Is Pixie for sale? I love him! I’m going to put this article to good use now. I should also certainly pronounce I’m impressed with your site! Thank you so much for this wonderful post! I feel very honored.